Presently the Ebola outbreak is largely confined to three countries in Africa but it seems inevitable it will spread. With relentless press attention and ensuing passenger anxiety what are a tour operator’s responsibilities in the face of the disease and at what point are clients permitted to cancel and receive a refund. The first question for the tour operator is are you constrained, before departure, to significantly alter an essential term of the contract. Where does this leave an operator in the face of FCO advice? There are different levels of FCO advice. The present advice in respect of Sierra Leone is against all but essential travel. Given the scale of the outbreak it is likely that a Court would consider this a constraint on the tour operator entitling the consumers to cancel and receive a refund for departures in the near future. For departures further ahead in time the operator is probably entitled to rely on the “flicker of hope” HHJ Darroch referred to, and proceed on the basis the tour can go ahead, consumers would not then be entitled to cancel and receive a refund. But is FCO advice always gospel? This point must, in my opinion, be determined by the particular circumstances and your booking conditions. There are plenty of examples in the past where the FCO advises against all but essential travel to a particular country or region but the area in which the particular tour takes place is unaffected by any constraining events. 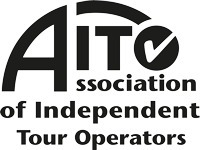 It therefore could be that in respect of a particular tour the operator is entitled to operate the tour as planned and the consumer will have to cancel at their own cost. It must be said though that such cases would be determined on their own precise facts and that the Courts are generally minded to have sympathy with a consumer in such circumstances, it is a potentially high bar for a tour operator to reach and must be balanced against the potential risks and a tour operators’ duty to have regard to a consumers safety. It is also worth stressing that an operator should also always ensure that there would be coverage under their policy of public liability insurance for any such tours and check that their booking conditions are consistent with the view they are taking. As ever these situations are very fluid and the tour operator must keep matters under review and not turn a blind eye to the obvious. But when faced with anxious consumers the operator must primarily consider if they are constrained in respect of a particular tour at a particular point in time, if they are not cancellation is up to the consumer.